TEL AVIV — President Donald Trump’s son-in-law and senior adviser said in an interview published Sunday that the administration will soon present its Israeli-Palestinian peace plan, with or without input from Palestinian President Mahmoud Abbas. "Kushner’s interview again illustrates the U.S. refusal to talk substance, to mention Palestinian rights or a Palestinian state," Erekat told NBC News in a statement released by his office. "This is an attempt to push forward a plan that consolidates Israel’s colonial control over Palestinian land and lives while telling the Palestinian people that money will compensate for our inalienable rights." "Kushner represents a policy of dictation rather than negotiations," he added. "It is the Trump Administration that has walked away from the negotiations, from international law and U.N. resolutions." Any peace plan would face major obstacles, including the increasingly dire humanitarian situation in the Gaza Strip, internal Palestinian divisions and recent cross-border violence between Gaza's Hamas rulers and Israel. Israeli Prime Minister Benjamin Netanyahu told his Cabinet on Sunday that he met twice with Kushner and Greenblatt this weekend and discussed the peace process, regional issues and "how to solve the humanitarian situation in Gaza without strengthening Hamas." "I must say that there was total support for our positions and actions to ensure the security of the State of Israel," Netanyahu said. "I expressed great appreciation to President Trump, Secretary of State Pompeo and, of course, Ambassador Haley for the continuous and strong support at the U.N., which is truly very impressive." Kushner’s remarks to Al Quds, in what the paper billed as his first newspaper interview on the administration's Middle East initiative, highlighted the Trump administration’s attempts to deliver a message directly to the Palestinian people. Palestinian leaders have refused to meet with the Trump team since the president's decision in December to recognize Jerusalem as the capital of Israel and to move the U.S. Embassy there. The Trump administration has previously threatened to cut off aid to the Palestinians if they refuse to "sit down and discuss peace." 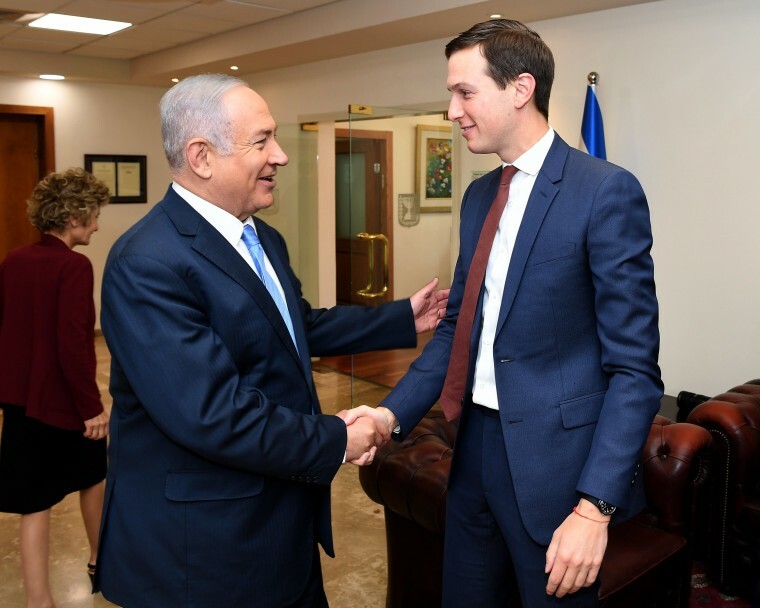 Asked by Al Quds editor-in-chief Walid Abu-Zalaf how his plan differs from those that came before, Kushner said he and his team had "spent a lot of time listening and focusing on the people."